"Hi, I am Argentina from Mexico." 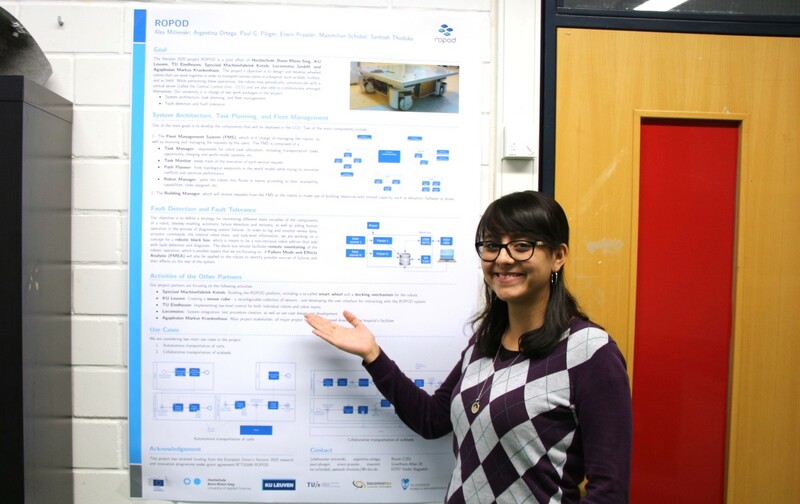 That was how Argentina Ortega, today an H-BRS research associate, introduced herself when she began her study of the degree programme Master of Autonomous Systems (MAS). 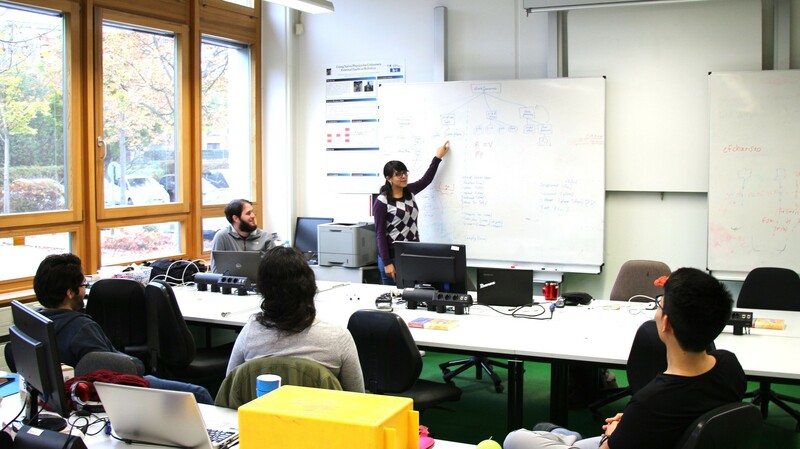 Besides lecturing, the ambitious Mexican scientist is heading the b-it-bots @home team and starting her PhD. In an interview she lets us in on why she once worked as a business development engineer, why autonomous robots should be tireless and on some mysteries of Mexican cuisine. Hier geht's zur deutschen Übersetzung des Interviews in der Online-Ausgabe der Hochschulzeitung "doppelpunkt:". H-BRS: Hi Argentina, what are your current tasks and duties here at H-BRS? What's your specialist area? Argentina Ortega: I am working as a research associate for the degree programme Master of Autonomous Systems at the Department of Computer Science. As such I support as well as supervise the students and give classes. I am starting my PhD, the topic being multi-robot systems in long term deployment, which is also my speciality, if you will. Additionally, I work as one of three leaders of the b-it bots @home team. H-BRS: Would you let us in on some details on multi-robot systems in long-term deployment? Ortega: Simply put, a multi-robot system consists of a number of connected robots which cooperate and communicate with each other to accomplish certain tasks, a typical field of application being logistics - e.g. moving things along in all directions and dimensions. In logistics, long term deployment is an essential demand, but when we think of autonomous systems or mobile robots, we tend to focus on the short-term: the individual tasks they have to perform, rather than the bigger, long-term picture. H-BRS: I see, so the robots should be able to self-charge and perform maintenance routines on themselves? Ortega: Yeah, in a way yes. But it's not only that, what I'm looking into is how to help the robots exploit previous experiences of tasks they repeatedly carry out over long periods of time, instead of solving the problem from scratch each time. In ROPOD, the research project headed by Professor Dr Erwin Prassler we are currently experimenting with autonomous systems in long-term deployment in a very dynamic environment, so our robots need to be able to perform their tasks under very different conditions depending on the time of the day. H-BRS: What's does your work as a b-it bots teamleader look like? Ortega: I prioritize team activities, assign responsibilities and manage the team, but I also have my role as a team member, where I still contribute to our code. Additionally, I supervise some of the students who do research in the context of the team. During competitions I am the representative of the team and for example discuss questions or interpretations of the rulebook with the referees. H-BRS: Now that we have gained an insight into your everyday working life, we would be particularly interested in where you come from and what you did before you came to our university. Ortega: I was raised in a middle class family in the suburbs of Mexico City. I'd say, I led quite a normal life. After school I went to study mechatronics at the Monterey Institute of Technology (Tec), State of Mexico Campus, a private university. After graduating, I worked as business development engineer for three years, but I knew that I wanted to get back to doing robotics as soon as I could. So after I paid back my student loans, I started looking for options. H-BRS: How did you end up in Germany? 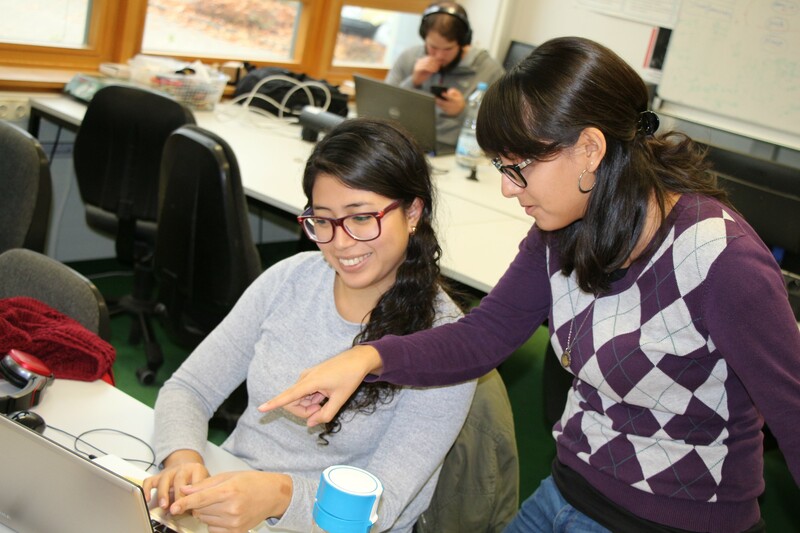 Ortega: During my studies at Tec I participated in a student exchange programme, which took me to Villingen-Schweningen, a campus of Hochschule Furtwangen. H-BRS: Oh my, that's a hard cut: from Mexico City to Villingen-Schweningen. Ortega (laughs): Yes, it's rather small. But I actually really liked it in Germany. So during my years as a business development engineer, the idea of doing a Master's degree matured, this time preferably without tuition fees. Germany was an obvious choice, especially since I already knew a little about it, spoke a little German and had liked it there. 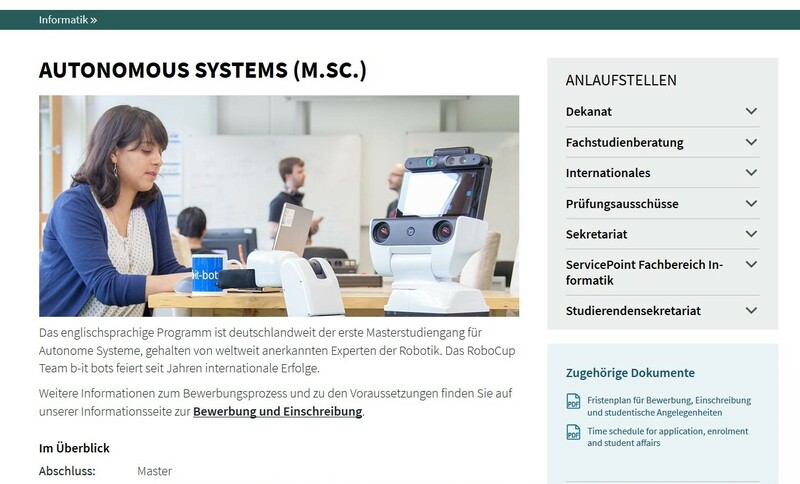 I looked for a robotics programme with a DAAD scholarship and so arrived at Hochschule Bonn-Rhein-Sieg. During my master I was living in Bonn, I only moved to Cologne after I started working because I missed living in a "big" city. 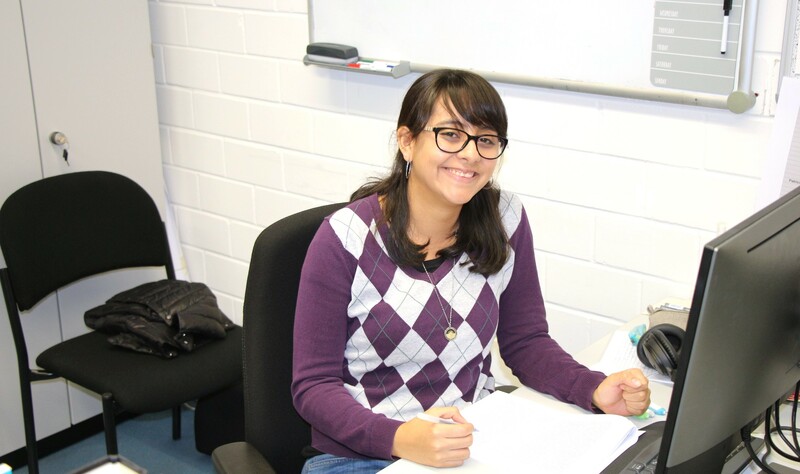 Ortega: : Yes, I was interested in pursuing a PhD after my thesis and was offered a job as a research associate at H-BRS in a project that was closely related to my research interests. I'm happy I did, I am very fond of my colleagues and my work here, and we have found many areas to collaborate in. H-BRS: Is there one particular thing you like about Germany? Ortega: I really like the public train system. H-BRS: Interesting. Many Germans find it rather lacking, unreliable and tardy. What do you like about it? Ortega: It exists. We basically have no passenger trains in Mexico, besides metro in a few cities and a couple of tourist trains. Here I use trains and trams all the time, and don't need a car whatsoever. I find it nice that I don't have to sit in traffic after work, and instead have a lot more time to read. H-BRS: You live in Cologne, are there any good Mexican restaurants in the city? Ortega: There are a couple of OK restaurants, but they tend to serve more TexMex than authentic food, so I usually prefer to cook. There are a handful of Mexican supermarkets that I visit specially to buy corn tortillas, which are not the ones you find in an average German supermarket. You can even buy corn flour and make them yourself, if you have the time. I actually find it funny that most of the traditional Mexican food I know how to cook, I learned how to cook here in Germany. H-BRS: You didn't cook Mexican food while in Mexico? Ortega: We don't necessarily cook what you would think as "traditional" Mexican food at home. Tacos are a really great example of this: There are so many "Taquerias" or taco restaurants or stalls, with their own tortilla style, their own secret recipes and salsas, at such a low price that you normally wouldn't even need to try this at home! H-BRS: Thank you for the interview Argentina and good luck with your doctoral thesis!